One of the annoying things that has plagued these cars since they were new are the screws that hold the door straps on, and, their refusal to stay tight. When they loosen, they invariably push the door strap screw covers off and they disappear when the door is opened ($18 each for the correct gray ones from a vendor). Putting in larger screws usually helps for awhile, but, then, they get loose. The sheet metal in the door is just too thin and the threads don't have enough metal to bite into solidly. If one does not keep the straps tight, the action of pulling on them may break the trim bar ends. Like this. This is not only not pretty, but the door strap screw covers cannot be popped in to cover the screws. 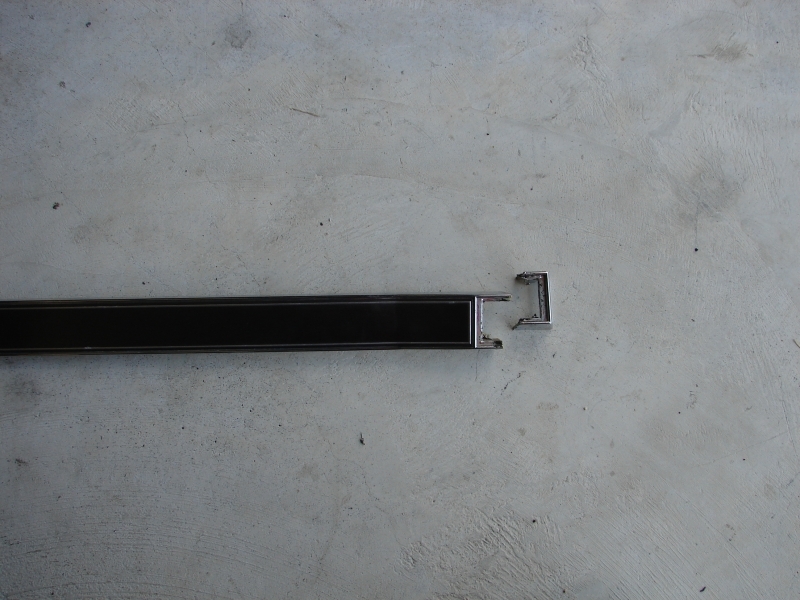 These bars are also hard to find unless you wish to buy a complete door panel, or, you are in the right place at the right time. Thanks, Sylvan!! I replaced the trim bar and fixed the screw problem using a method that I first employed years ago. 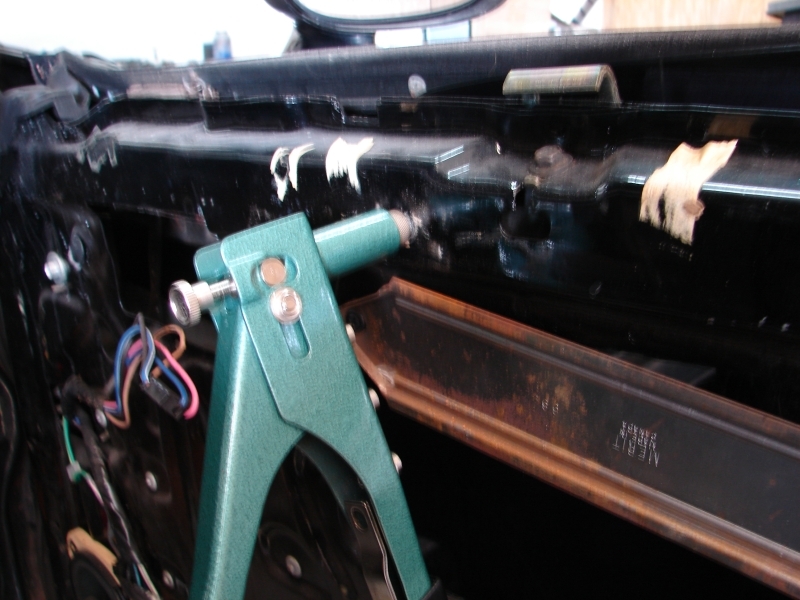 In this case, I removed the door panel because I had to get to the back to swap out the trim bar. I fixed one on the other side without removing the panel (this is only possible if the inside of the trim bar is broken out which they sometimes are-otherwise, off comes the panel). Then, I drilled out the holes and installed 1/4-20 nutserts (rivnuts, threaded fasteners, threaded rivet) I bought the nutsert kit at Harbor Freight. For 1/4-20 nutserts, one drills out the holes with a 3/8" bit-don't go over size; there should be a snug fit (be a good idea to check the outer diameter of the nutsert just in case yours turn out to be smaller than mine..
Then I used my $18 Harbor Freight nutsert tool and kit. Note that each size nutsert has a specific threaded shaft that screws into the tool and a specific nose piece. One or both of these may have left hand threads. If they don't screw in, try the other direction....the threaded shaft always is left handed. Screw the nutsert all the way on to the tool and insert the nutsert all the way into the hole. 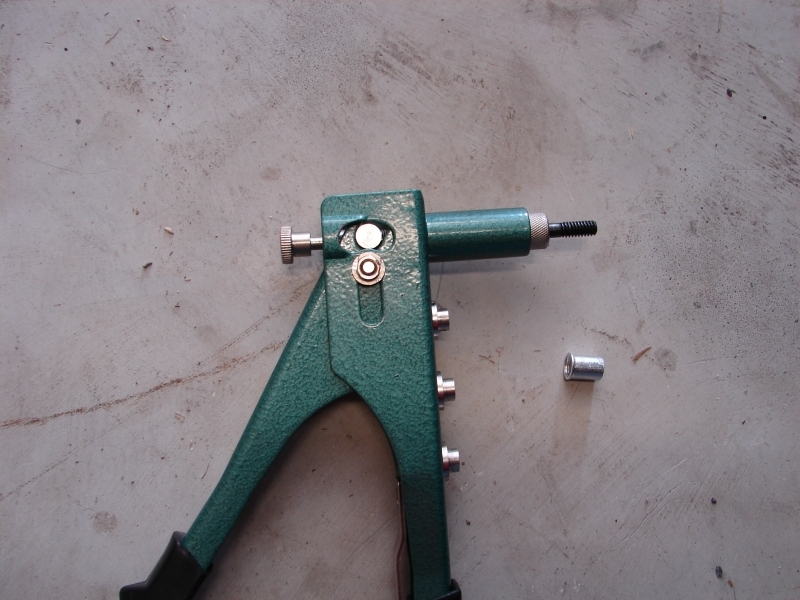 While pressing it against the sheet metal, squeeze the handles and compress the nutsert....just like a rivet gun. To be sure that it fully compressed, I always see if I can screw the shaft further into the nutsert after relaxing my grip. Then I squeeze the handles again. The aluminum nutserts are pretty soft and if one drills the holes too loose, then they may pull through if not fully compressed. Okay, after compressing the nutsert fully, I unscrewed the tool from the nutsert using the knob on the back of the tool. 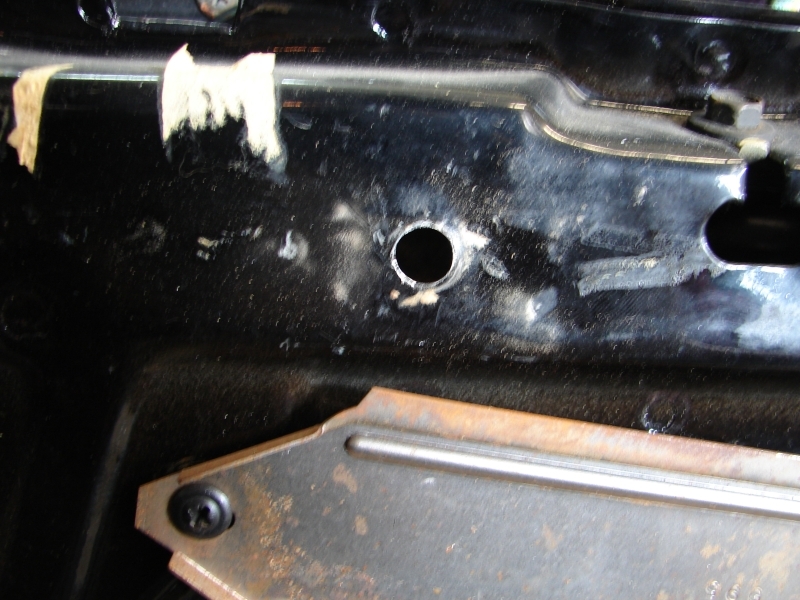 This is a picture of the 1/4-20 bolt I am going to use after I put the door panels back on. 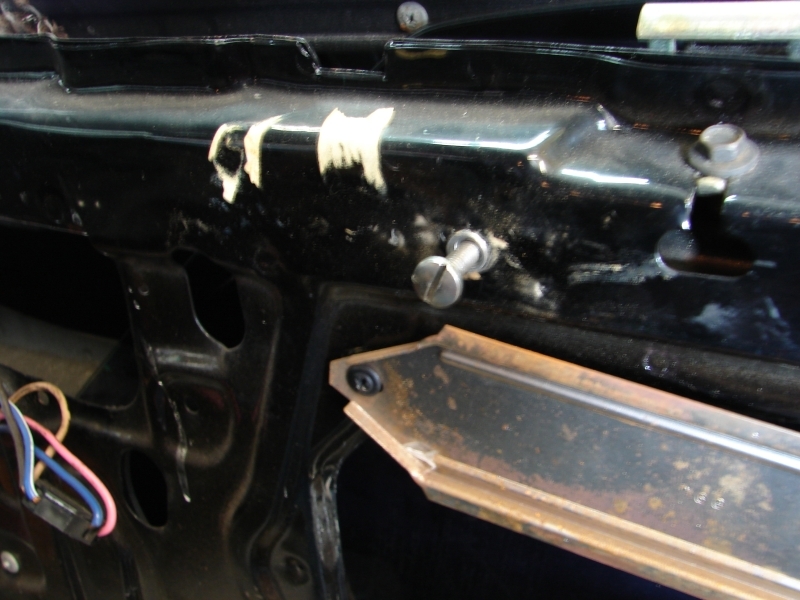 Put the door panel back on, reinstall the straps using the 1/4-20 bolts, pop in the covers, and I am done. Normally, I do not take the panels off, just pop out the covers, remove the screws, drill the holes out, install the nutserts, and, that's it. Between two cars, I was two cover inserts short. Rather than spend $18 each for them, I got a set of the silver ones, and put the T logos from Buick GN over them so that they matched the T on the horn button in my T. I took two of the gray ones off this car and installed on my GN which is where these pictures were taken.